RCI is celebrating the addition of more than 150 new affiliated properties in the Caribbean over the last 10 years. 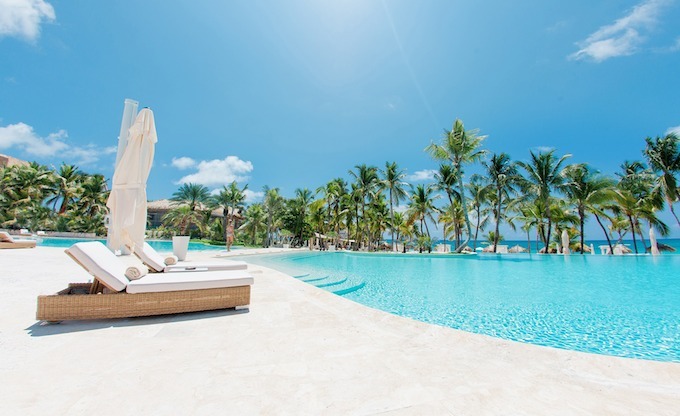 One of the most recent affiliations – which joined The Registry Collection programme – is Eden Roc at Cap Cana. This property aims to redefine luxury in Punta Cana, Dominican Republic, with 34 indulgent freestanding suites. The accommodation is immaculately designed with crisp whites and azure blues, reflecting the beauty of the sea outside. Each suite features its own swimming pool and outdoor relaxation area, and includes ways to personalise travellers’ stays with smart technology to control room settings. A property in Jamaica that was recently added to the RCI exchange network through Unlimited Vacation Club by AMResorts is Breathless Montego Bay Resort & Spa. This stunning, adults-only resort is a chic escape in paradise. In addition to luxurious rooms, the property boasts the only rooftop pool and bar in Jamaica, a beach club, fire pits, cabanas, and five bars and lounges. Guests can enjoy the all-inclusive benefits of AMResorts’ signature Unlimited Luxury programme throughout their stay. On the coveted island of St. Lucia, Marigot Beach Club & Dive Resort now offers a new option for RCI members. Home to a certified dive centre, the property caters to marine enthusiasts, both beginner and advanced. The private beach, outdoor pool, spa and wellness centre offer plenty of spots to relax, and the stylishly appointed rooms help ensure total comfort. These properties join the exchange network of more than 4,300 affiliated resorts available to RCI’s 3.8 million subscribing members. For more information visit RCI.com or RCIAffiliates.com.